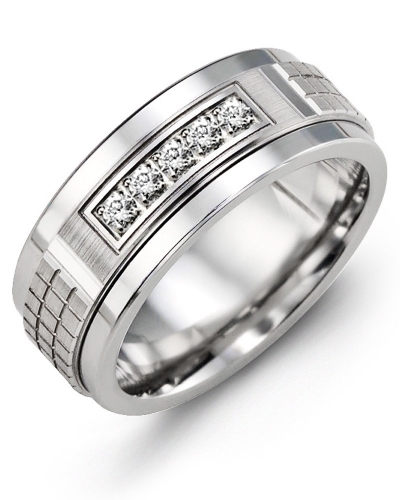 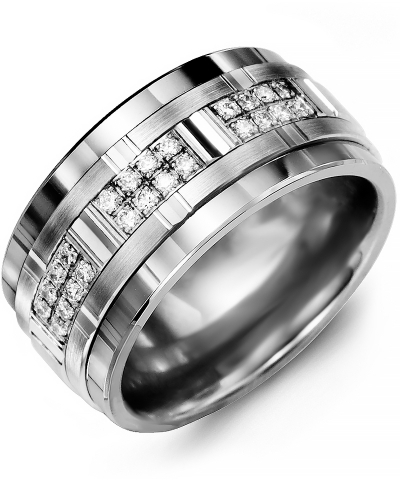 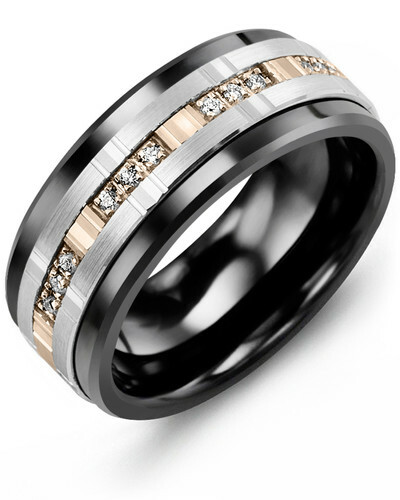 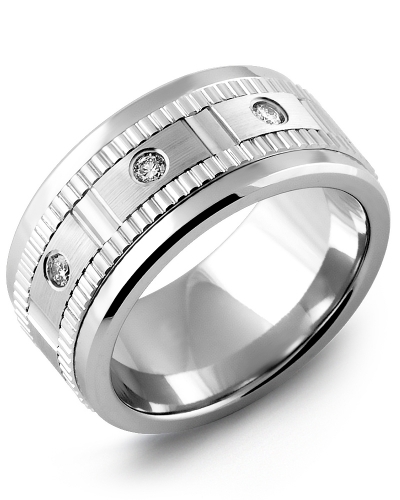 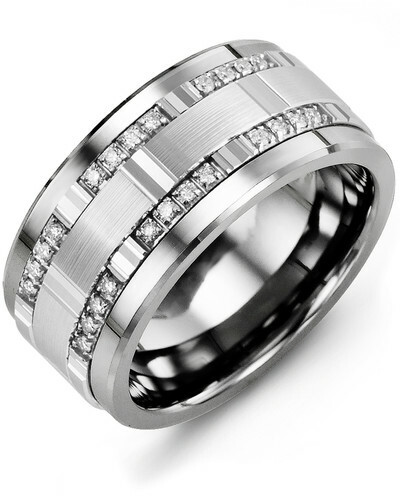 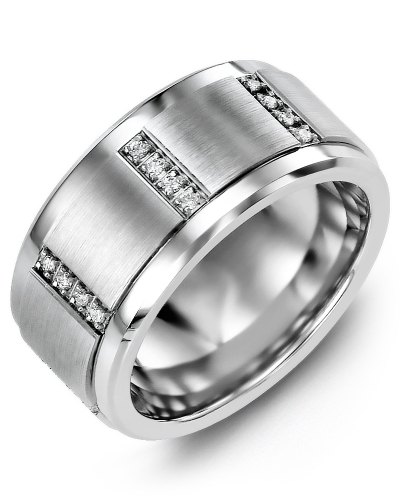 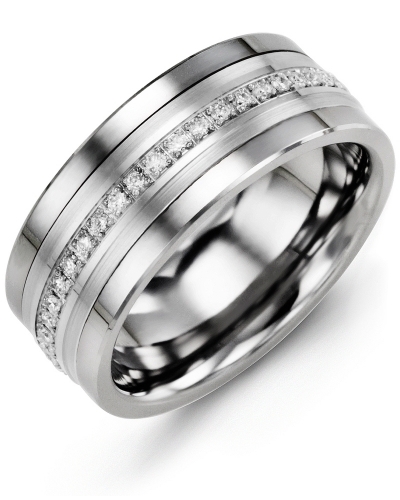 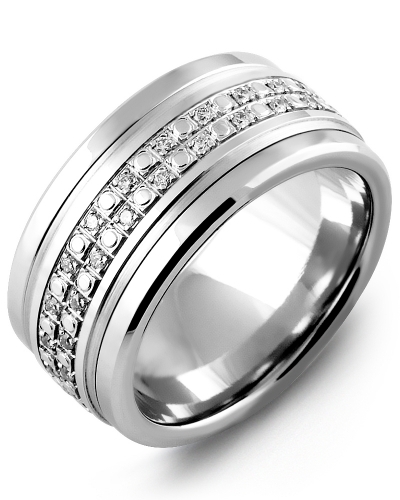 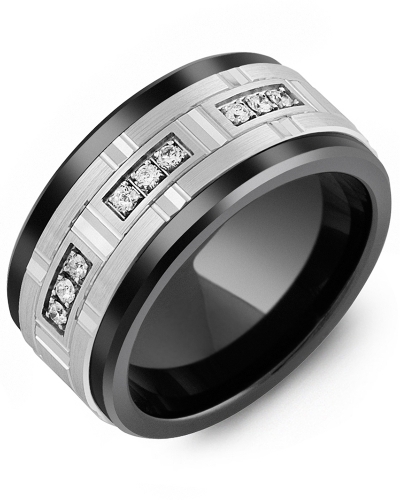 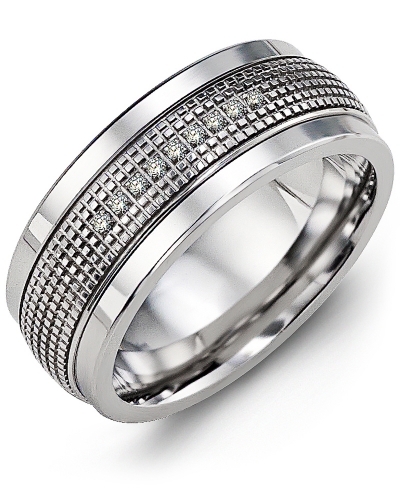 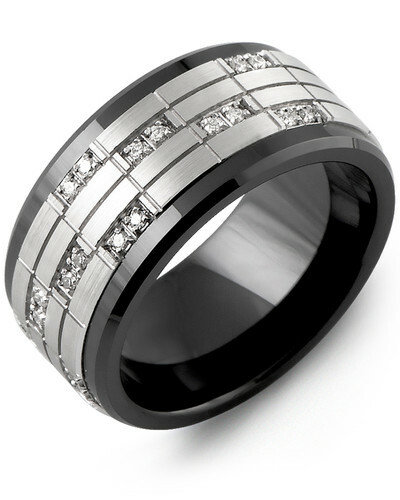 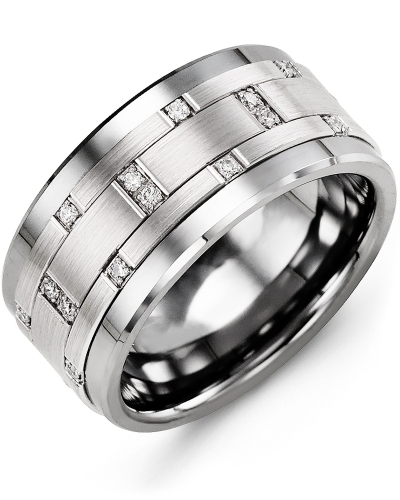 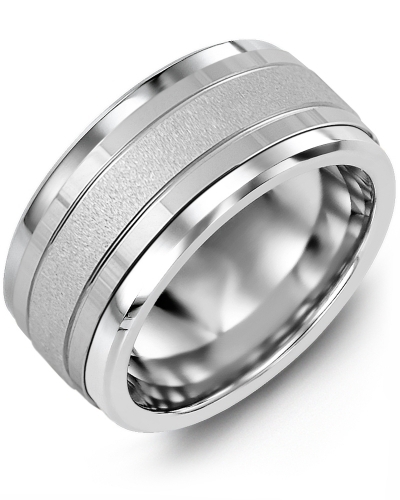 MLT - Quad Duo Diamond Wedding Ring This striking tungsten ring, cobalt ring, ceramic ring is richly embellished with 24 diamonds set in 3 pillars for maximum impact. 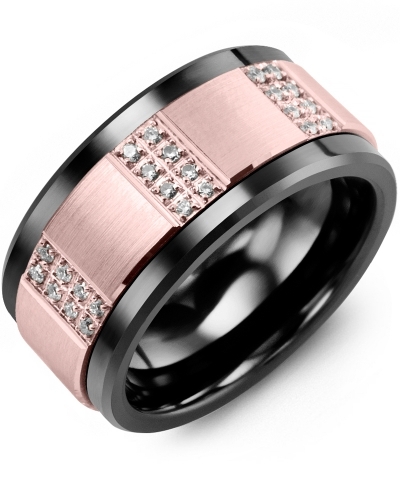 A dazzling addition to any contemporary jewellery collection, it has a total carat weight of 0.24ct, and it can be personalised with a rose gold, white gold or yellow gold insert in 10kt, 14kt or 18kt options. 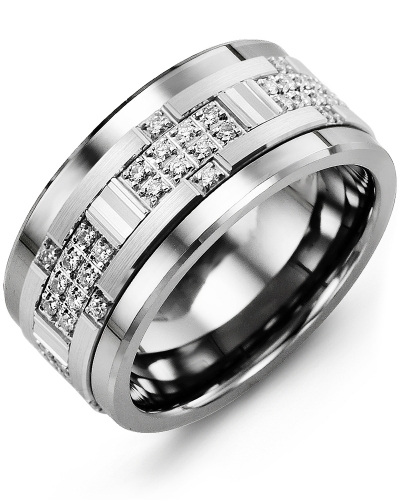 Modern yet minimalistic in design, this Quad Duo Diamond Wedding Ring oozes sophistication and MADANI’S signature style. 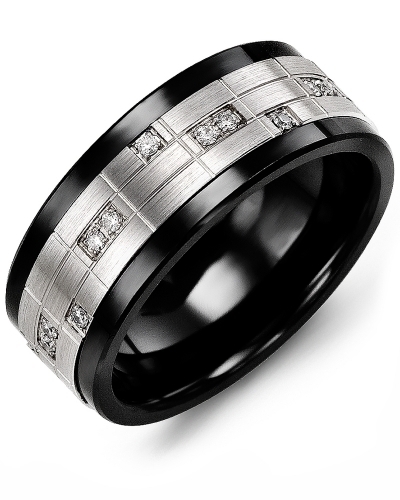 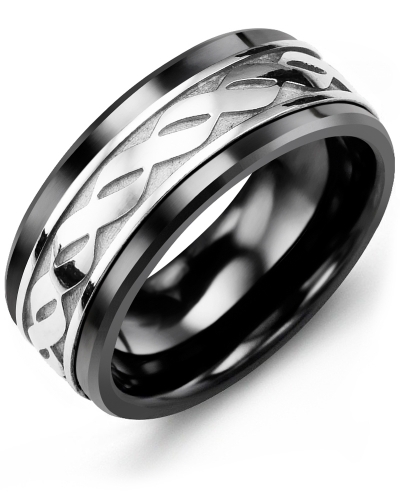 This striking tungsten ring, cobalt ring, ceramic ring is richly embellished with 24 diamonds set in 3 pillars for maximum impact. 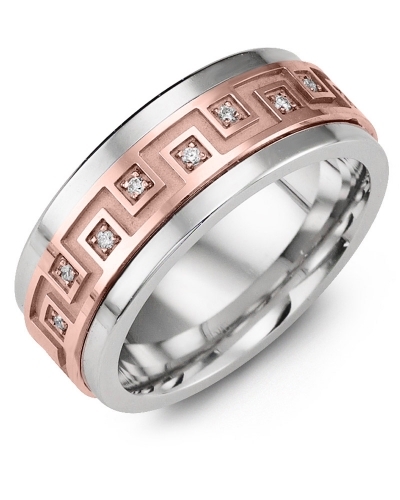 A dazzling addition to any contemporary jewellery collection, it has a total carat weight of 0.24ct, and it can be personalised with a rose gold, white gold or yellow gold insert in 10kt, 14kt or 18kt options. 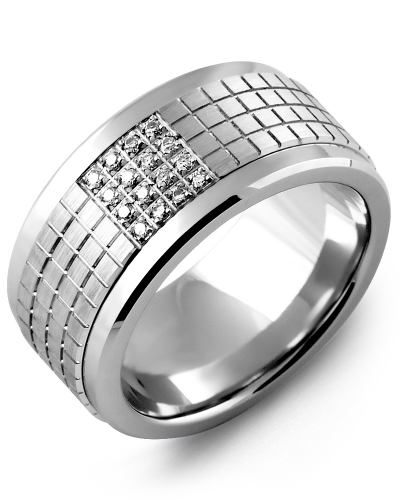 Modern yet minimalistic in design, this Quad Duo Diamond Wedding Ring oozes sophistication and MADANI’S signature style.